Coaches and clubs please remember to send along your volunteers to assist and ensure paddlers have all the hoe and lifejackets they need to compete. For some clubs this may mean sharing resources during the morning. 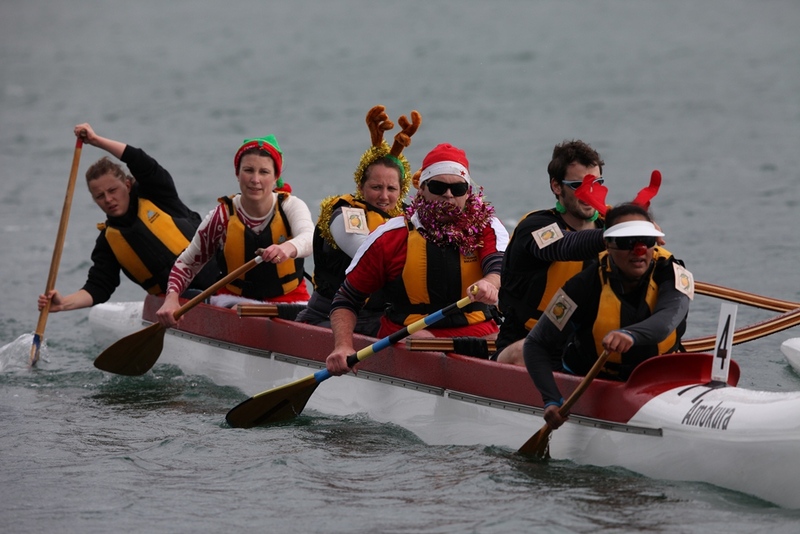 Dont forget the winner of the Championship Final will be offered the chance to compete at the 25th National Waka ama Sprints in Karapiro, January and there is a prize donated by Hoe Tonga for the ‘Best Dressed Team’ Xmas theme as judged by our photographer from RENARDFX Stephen Fox.